About 404 errors and how to Troubleshoot it? The 404 is an http status code. There are many other status codes as 401, 403, etc. Every status code has its own meaning. The 404 code means the requested item could not be found. What is an HTTP Status Code? The http status code is a standard response code given by web servers on the Internet. The status code is a 3-digit integer where the first digit defines the class of response and the last two digits usually do not have any classification role. When a problem occurs while connecting to the server, these codes help you to identify the problem. The various classification of the status codes is as below. It means the server failed to fulfill a valid request. These are some common messages from different hosts when there is a 404 status returned. 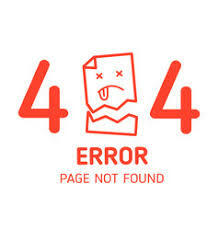 Let us take a look at the reasons behind a 404 error code. The primary cause of all 404 status codes is that the web server couldn’t retrieve the page that was requested by a client. Listed below are various reasons why you received a 404 error code. 1) The requested file has been renamed. 2) The requested file has been moved to some other locations. 3) The requested file is temporarily unavailable due to maintenance or upgrades. 4) The requested file actually does not exist. 6) In IIS 6.0, The MIME type or appropriate web service extension is not enabled. 7) A virtual directory is mapped to the root of a drive on another server. The 404 error is a client-side error. Simply it means the webpage does not exist with the URL entered. There are many ways to resolve this error. We are going to see how to troubleshoot the 404 error. Before contacting your Website Administrator, follow these easy steps in order to resolve your issue. The cache may be holding the wrong output which could cause the error. In this case, you need to clear the cache and the cookies. Try to access the same URL from another device or browser. If it is accessible, you can confirm that you need to clear the browser cache and cookie in order to get worked. A typo in the entered URL can cause the 404 error. Please ensure that the URL entered is correct. Most of the times, the URL of the main page of any website will in a readable format. The links to a document inside a sub-page may have a URL that is not easily readable or in IP address form. In this case, double checking the entered URL will not be easy. However, in main pages, we can check whether the entered URL is correct. A virus/malware attack may result in a 404 error. Use anti-virus/malware software to scan for such issues. 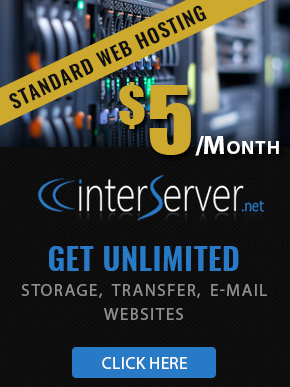 If the issue still persists, a user can contact the Website Administrator. If you are a Website Administrator, please go through the rest of the article. When it comes to troubleshooting the 404 Not found error, there are a many parameters that need to be checked. The main causes are listed below. You will be getting a 404 Not found error if you have reached the memory limit. Try to free some memory so that the issue can be fixed. If the error you are getting is with “You don’t have permission to access…” in addition, there would be some permission issue. You could try tweaking the “chmod” permissions via FTP or contact the InterServer support team immediately to get the problem fixed. A misconfiguration in the .htaccess can cause the 404 Not found error. The “.htaccess” is a configuration file used by the Apache web servers that can achieve additional configuration options such as redirects, password protection, etc. You need to ensure that the file is configured correctly. The mod_rewrite is an Apache module which is used for URL redirection. If the URL is redirected and the mod_rewrite is disabled, it will result in a 404 Not found error. So make sure that the mod_rewrite is enabled. To find whether the mod_rewrite is enabled or not in the server, please run the following command. The incorrectly configured SSL Certificate can cause a 404 Not found error. If everything was working fine before installing the SSL Certificate and then it started to return the error after the SSL Certificate installation, you could make sure that the install of the incorrectly configured SSL Certificate caused the issue. What is Session Hijacking and how to prevent it? Configure and Install Varnish on CentOS/Ubuntu. What is Varnish cache and how it works? What is ModSecurity and how to use it?